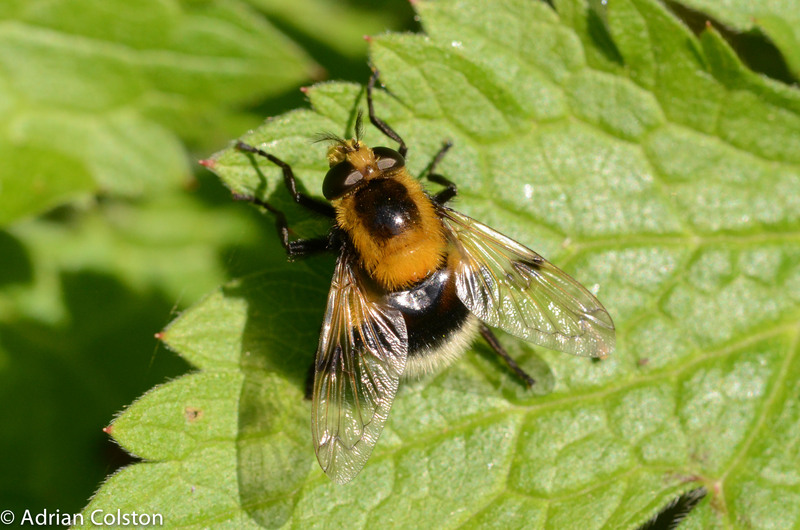 It gets it vernacular name from the black markings in its thorax which looks like a face or death mask – it also looks a bit like the Batman logo! 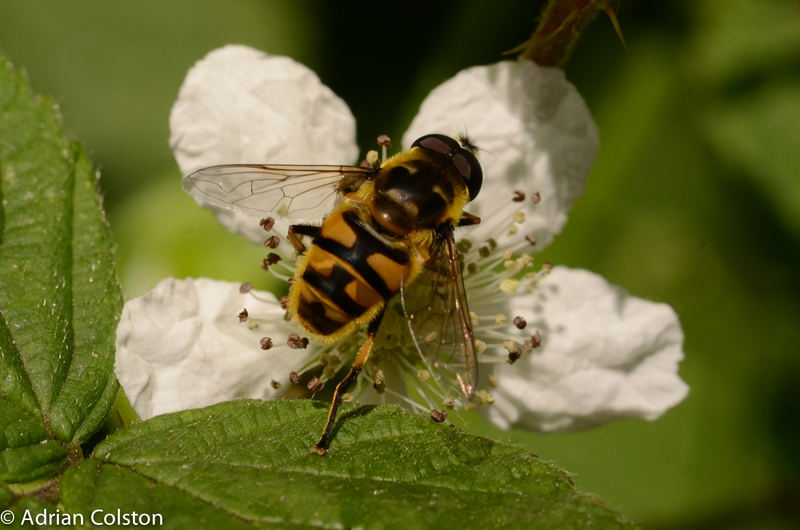 The Marmalade Hoverfly (Episyrphus balteatus) is Britain’s most common hoverfly. Its larvae feed on aphids. 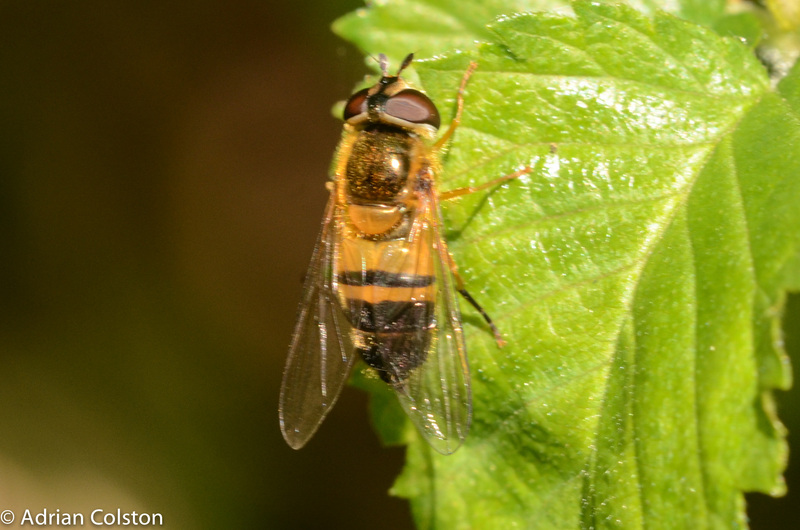 The patterning on the abdomen is very distinctive making this species easy to identify. However the orange colour can be bright or much darker – depending on the temperature in which the larvae were living. 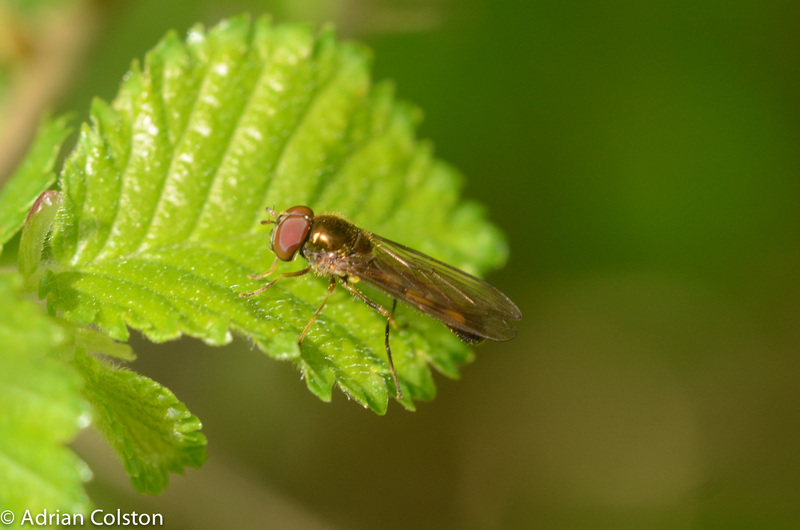 Orange hoverflies emanate from larvae in warm conditions and darker individuals from ones living in cooler environments. 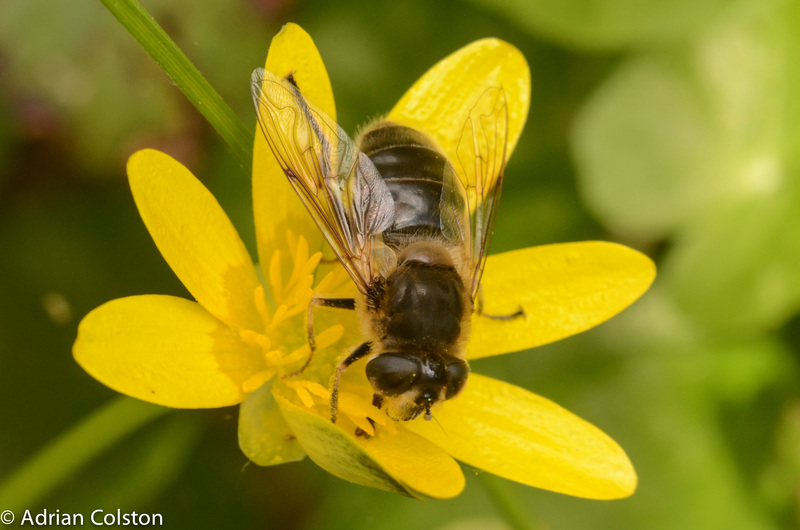 This is Epistrophe eligans – a female – an early spring species which can often be found on blackthorn and hawthorn flowers – its numbers peak in May. Amazing day’s weather in Exeter yesterday – it seemed like all four seasons had been wrapped into one day. Heavy rain, hail, 18 degree sunshine and wind. 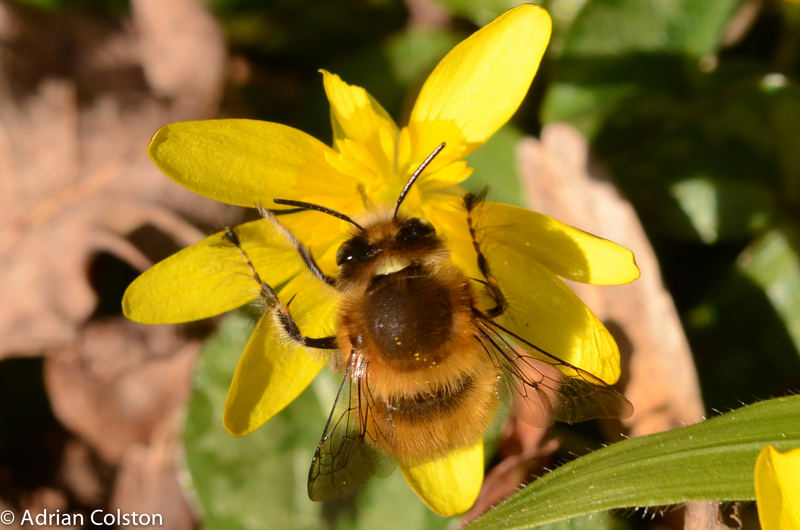 During the sunny bits it seemed like spring had arrived – I saw my first bee flies of the year along with hoverflies, a peacock butterflies and the solitary bee – the Hairy-footed Flower Bee. 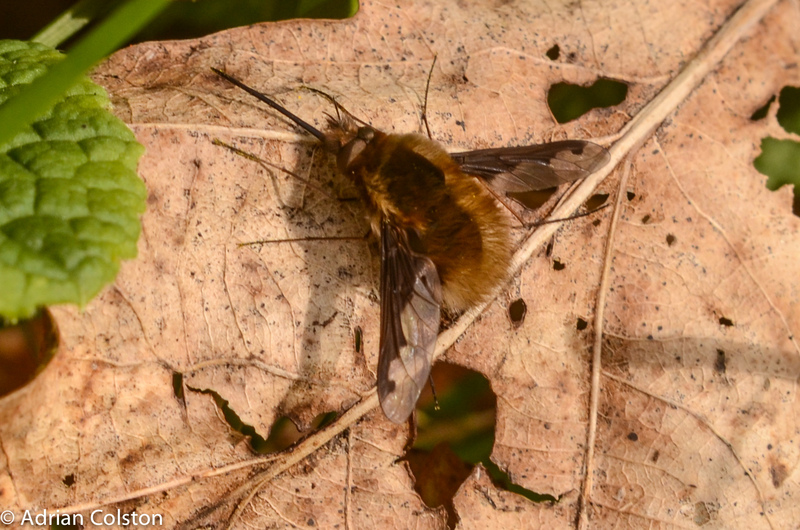 It has a very interesting life cycle which I have written about before – see here – it only flies when temperatures are above 17 degrees. 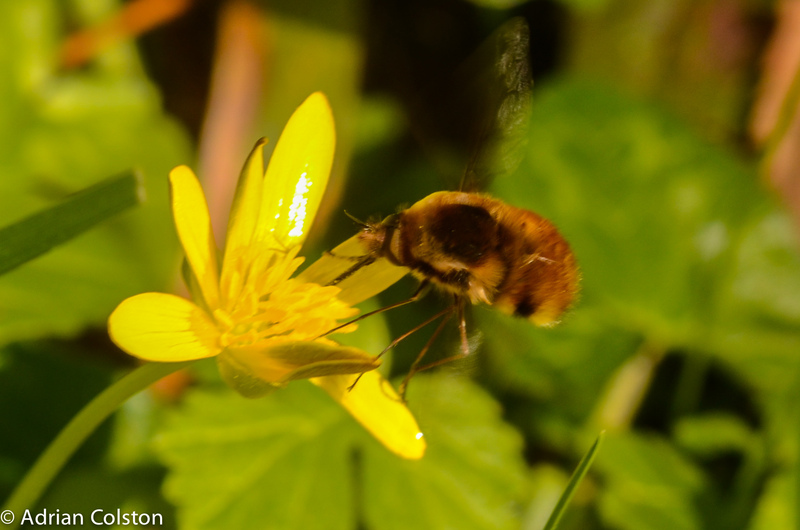 This is the Drone Fly (Eristalis tenax) – a hover fly which is mimicking a honey bee. 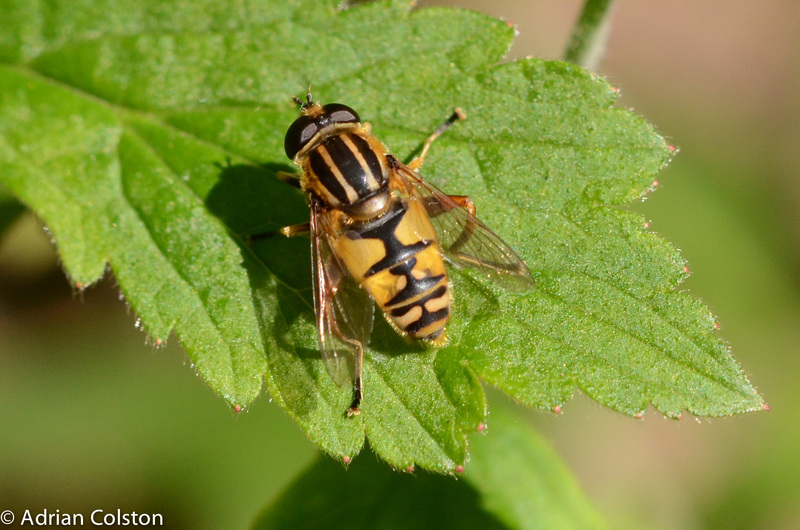 Hoverflies cannot sting but work on the assumption that you think they can! 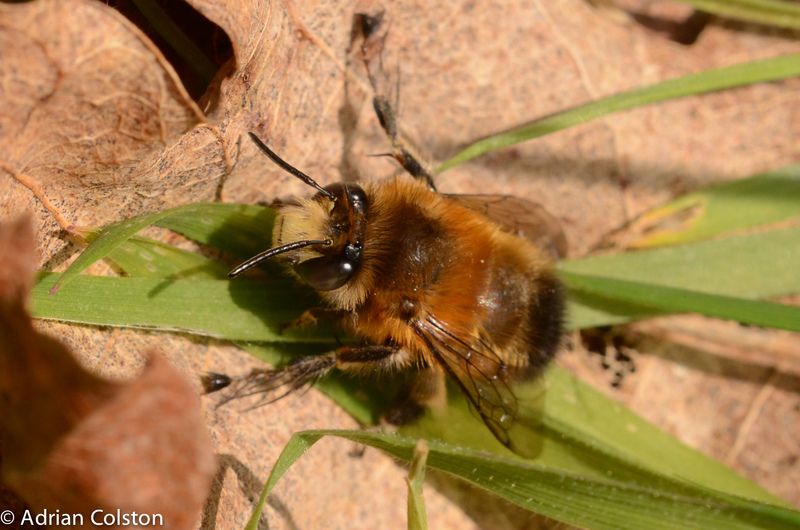 This is the first Solitary Bee of the year to emerge – Hairy-footed Flower Bee (Anthophora plumipes) – this is a male – they emerge several weeks before the females – note the hairy feet! 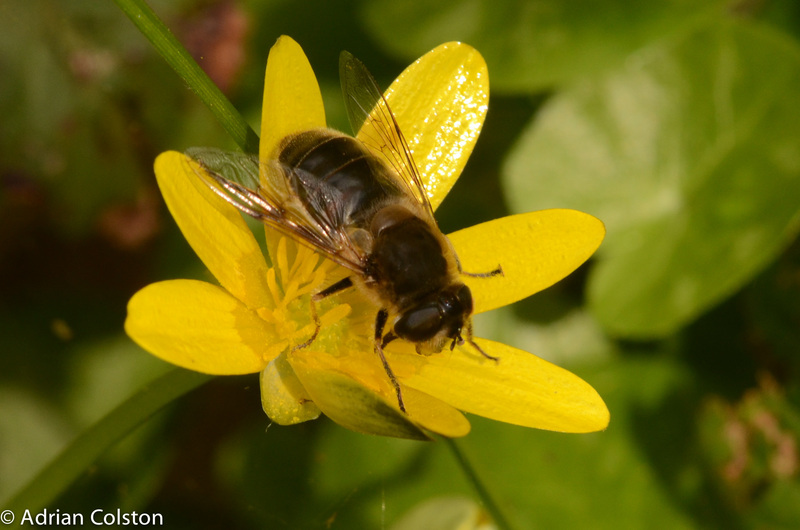 If you have got a garden it is possible/probable that all of these species will be living in it – on a sunny day have a look to see who you are sharing your garden with. 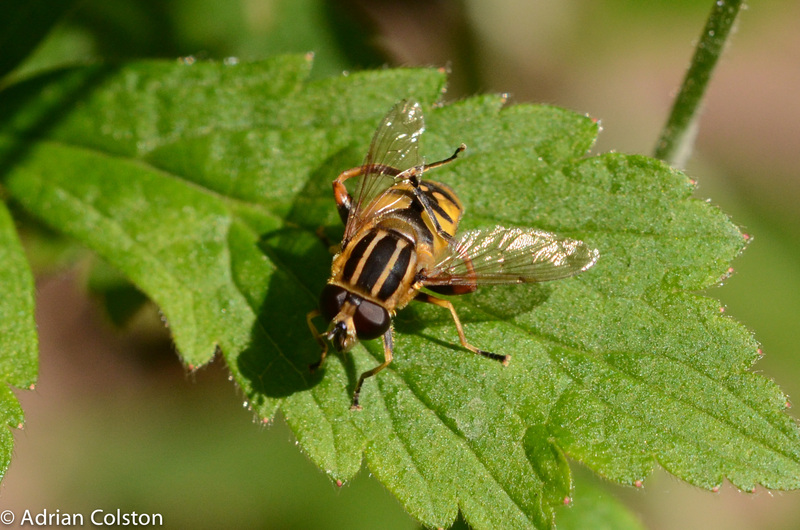 This brightly marked yellow and black hoverfly is called Helophilus pendulus. This animal is a male – its compound eyes do not join on the top of the head -if it were a female they would. It is a common species in Britain and I expect you have seen one in your travels or even in your garden even if you didn’t know what it was called. 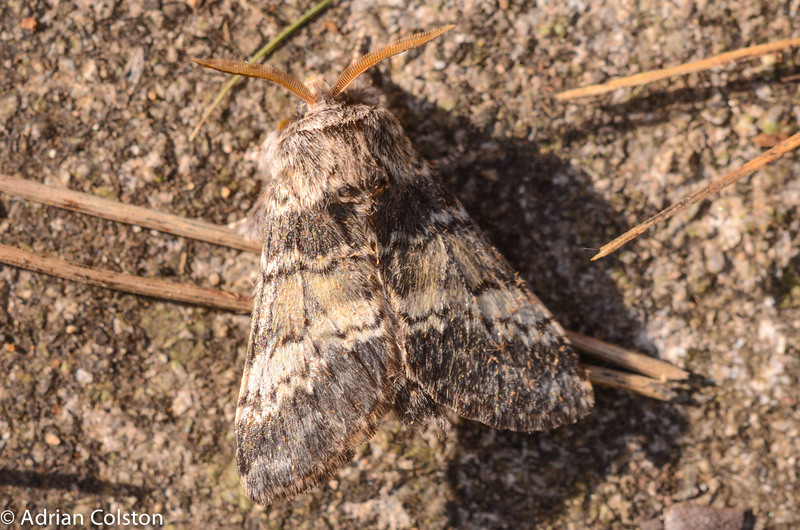 It is one of several species that look rather similar but it is the most common. Helo – is from the Greek and means ‘marsh’ and philus again from Greek means liking – so a marsh liking species (its larvae live in wet places), ‘pendulus‘ means hanging or dangling. 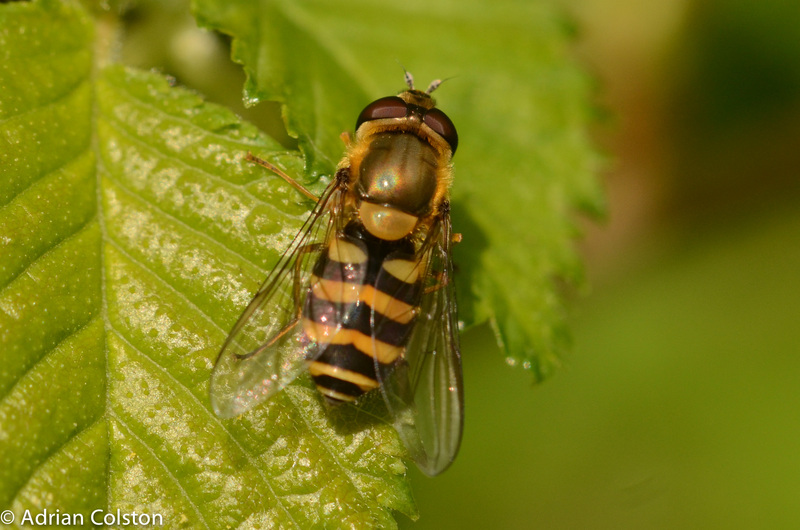 So a common English name might be the dangling marsh-liking hoverfly but it isn’t! 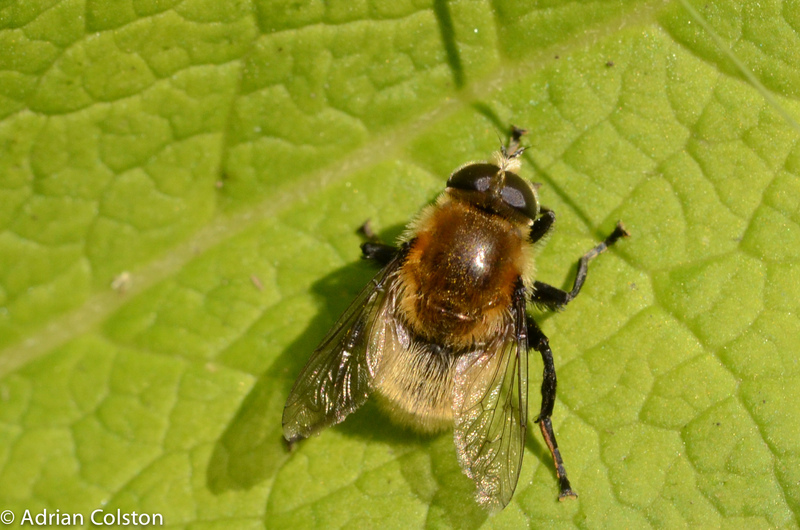 It is however often known as the ‘sunfly’, partly because, as in this series of photos, it likes sitting on leaves in direct sunlight. 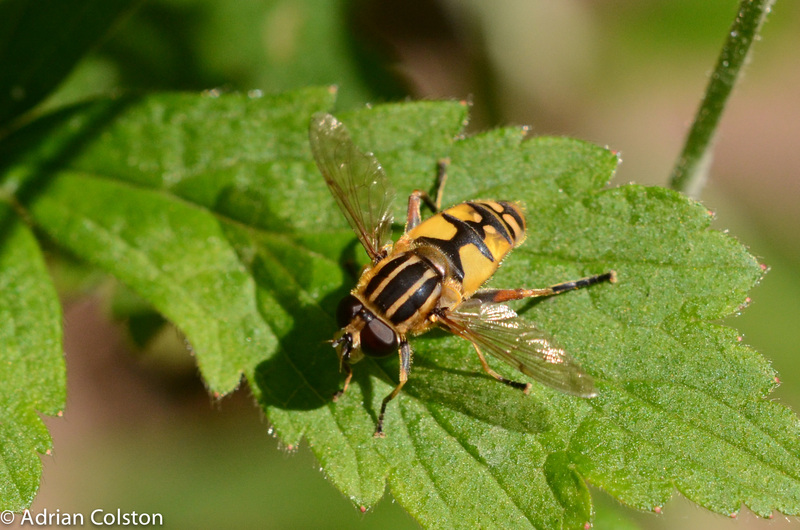 It might also be called the sunfly because helo has been mis-read as helio, the Greek for sun. 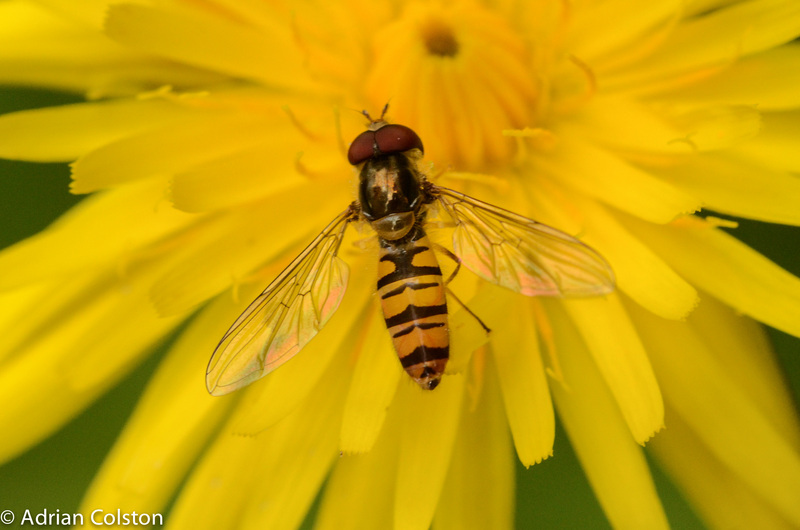 Perhaps my favourite name for this hover fly is ‘The Footballer’ on account of its stripy thorax! If you go for this name then I suspect you might support Cambridge United!